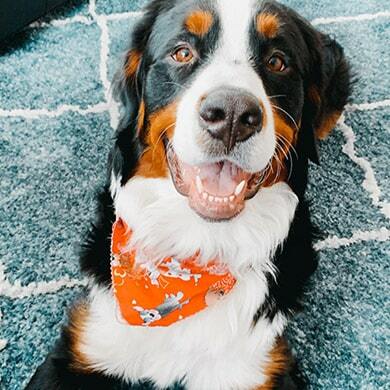 Gus is a one year old Bernese mountain dog. He still thinks he is a lap dog and he is a goofball. He is afraid of leaves, boxes, and the dark. Gus loves to meet new people, even though it may look like he wants to eat them.